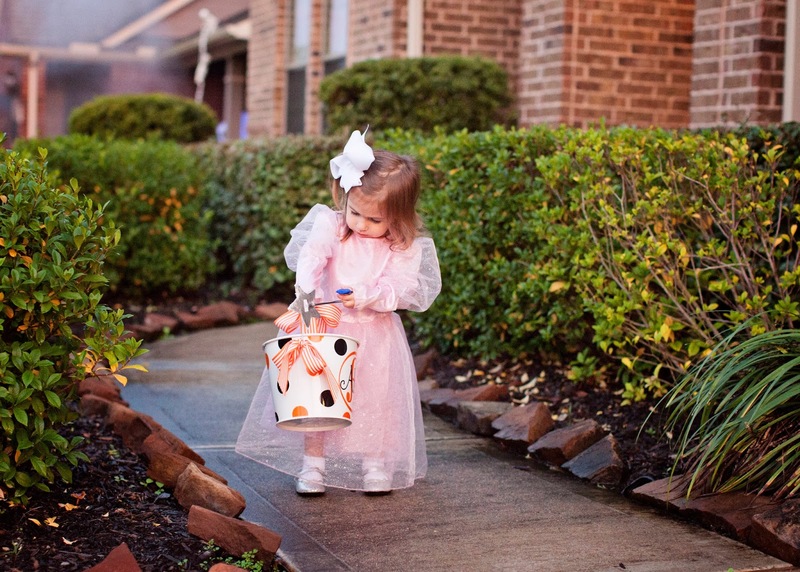 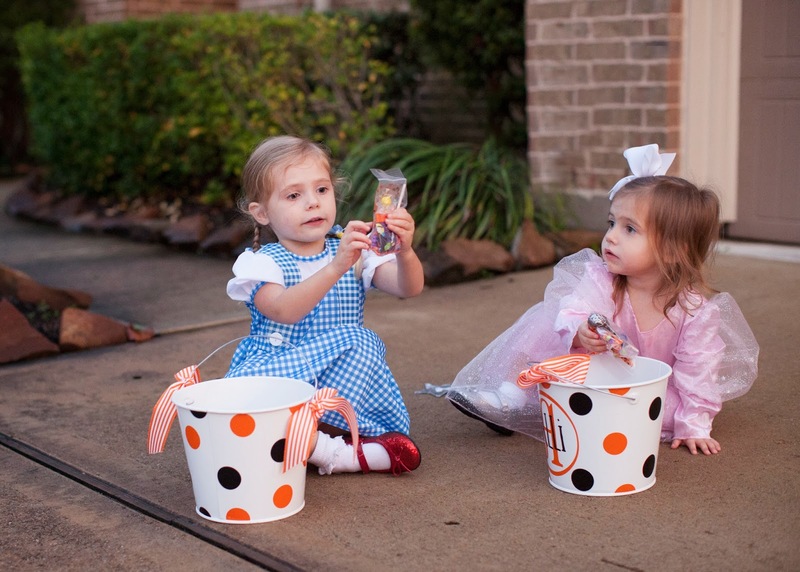 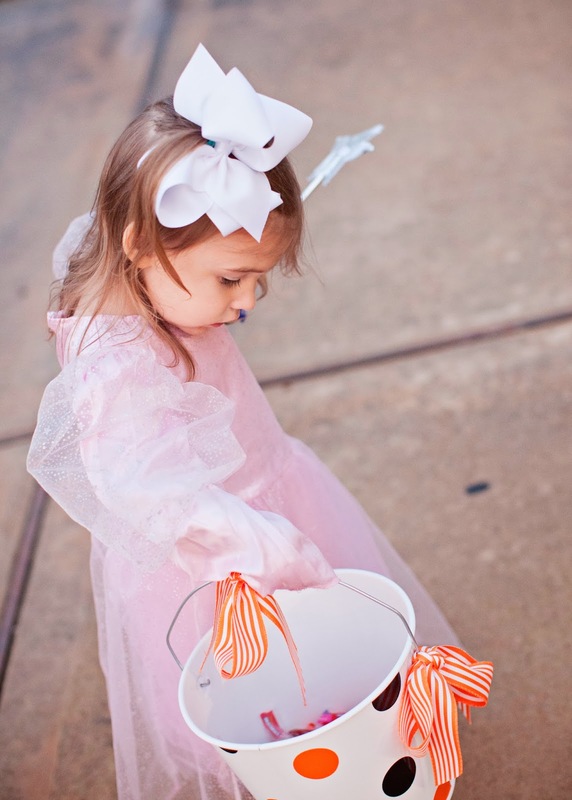 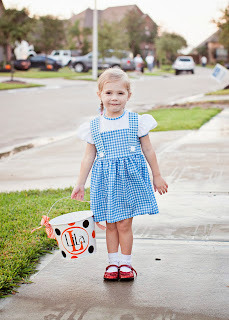 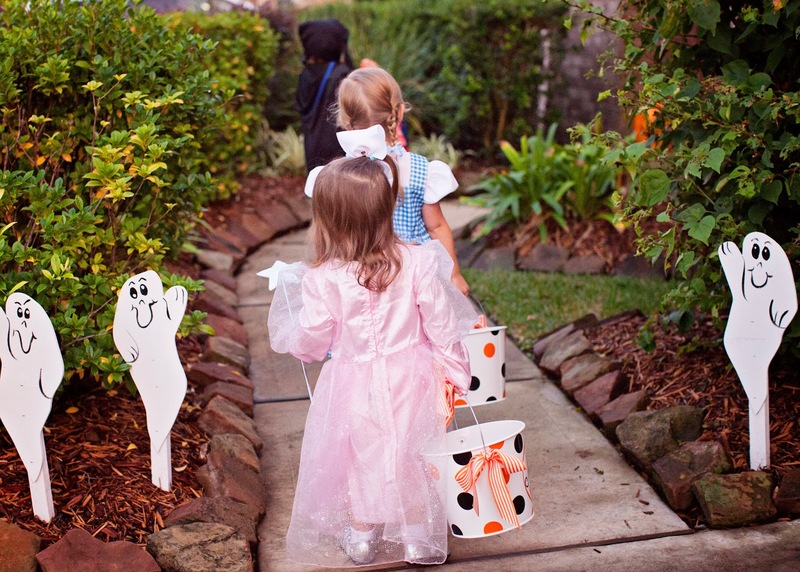 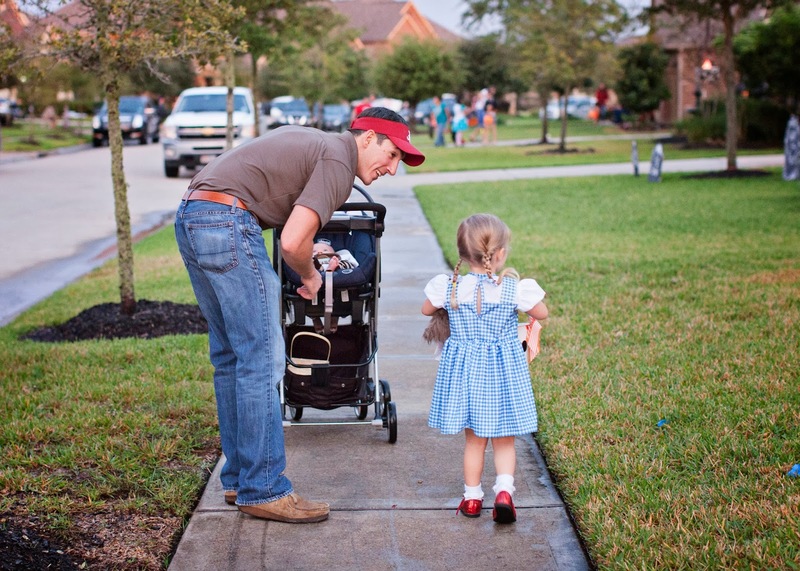 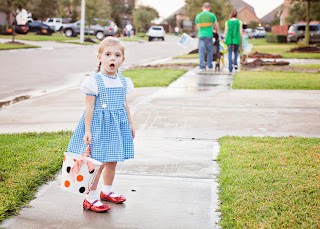 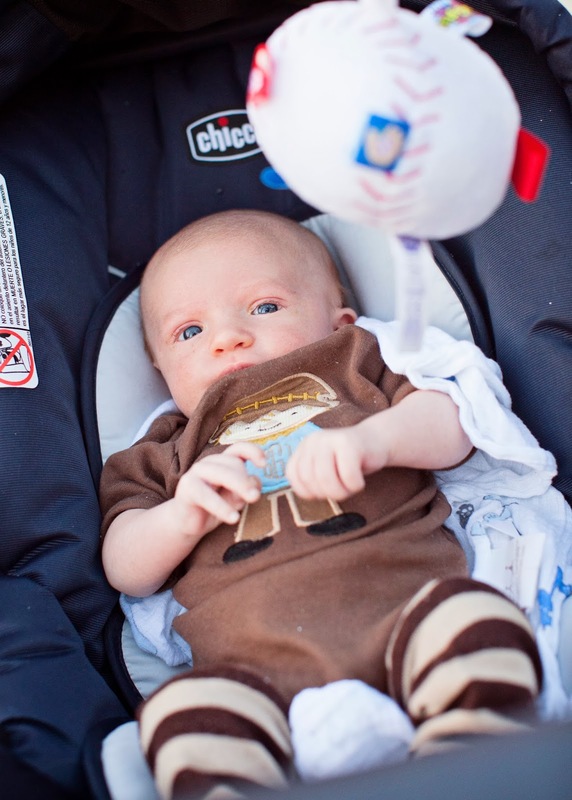 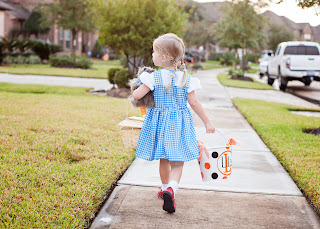 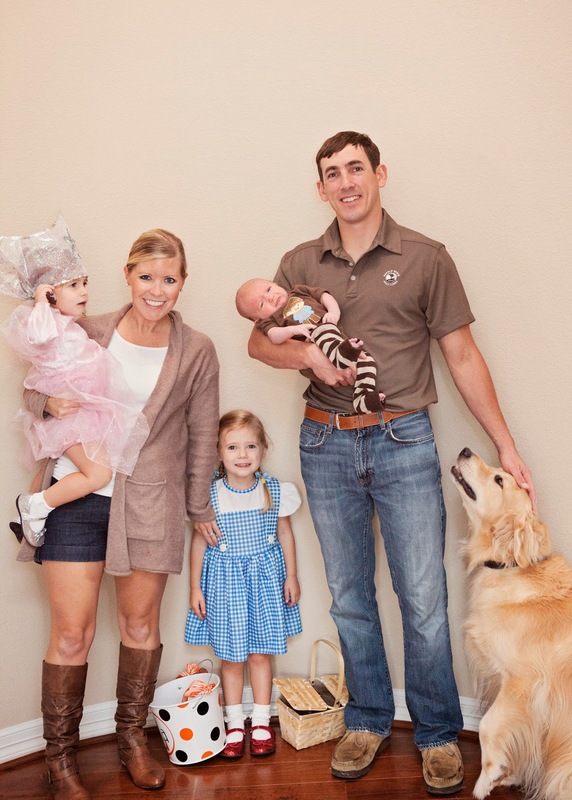 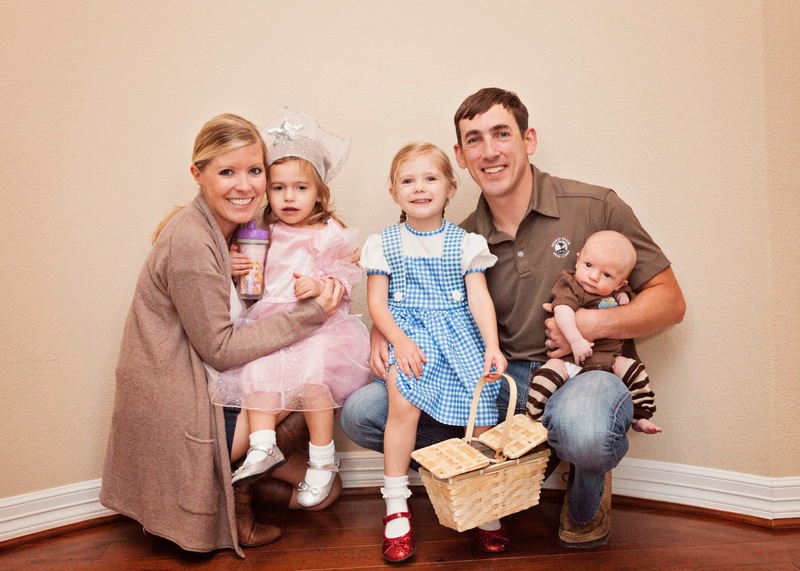 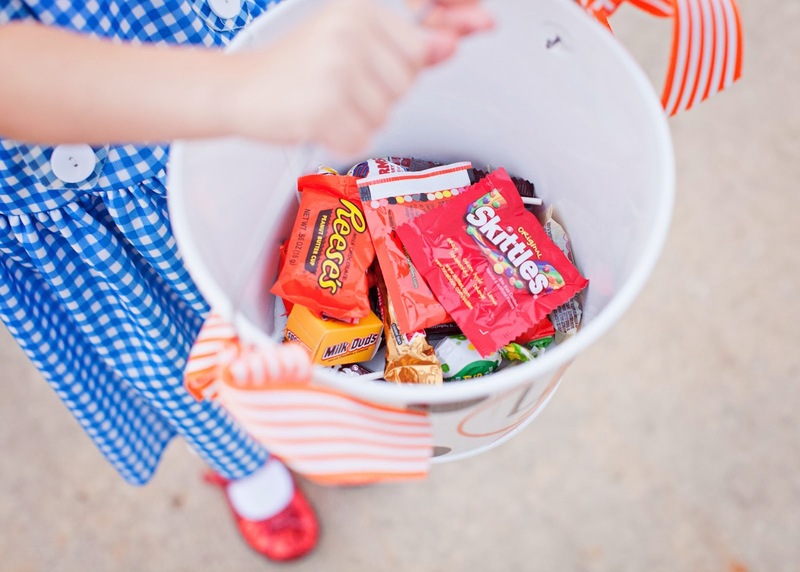 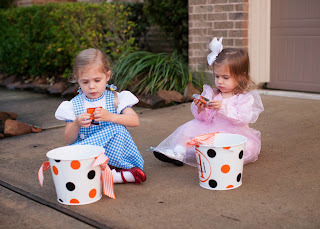 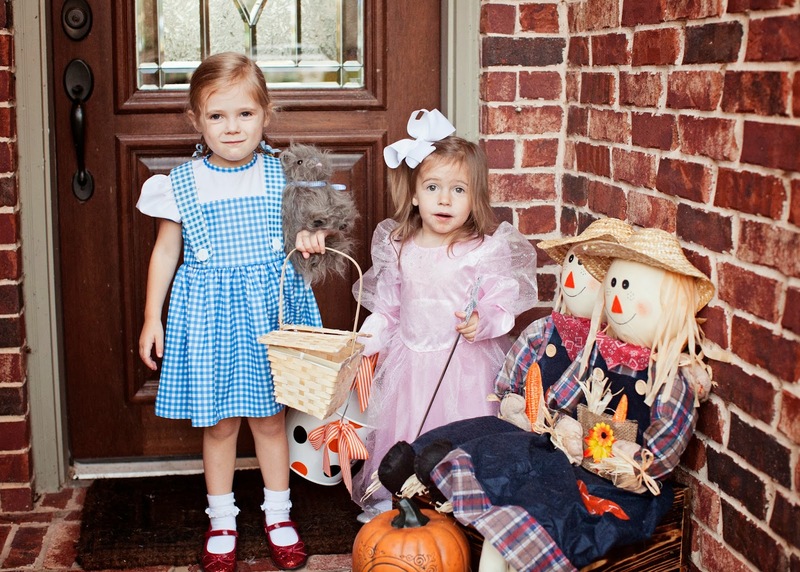 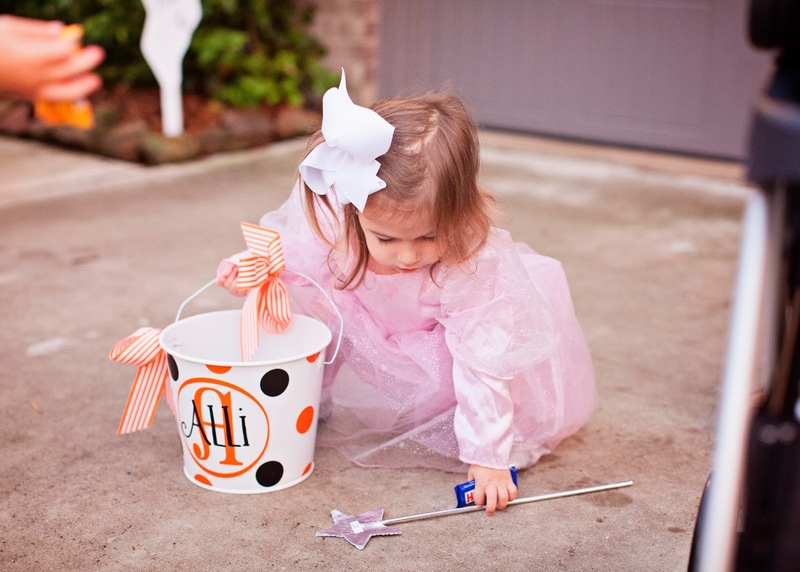 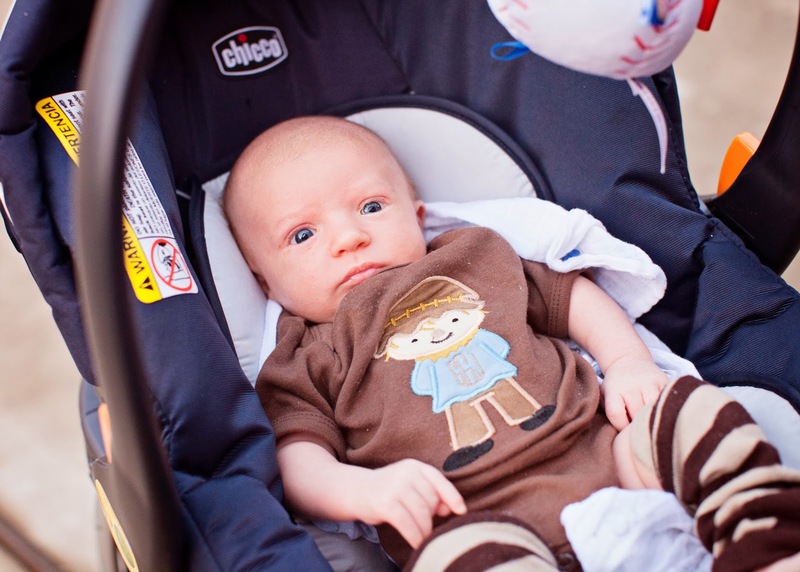 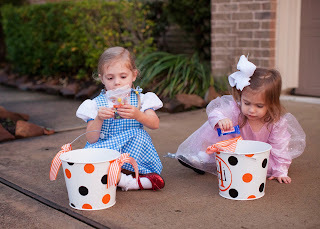 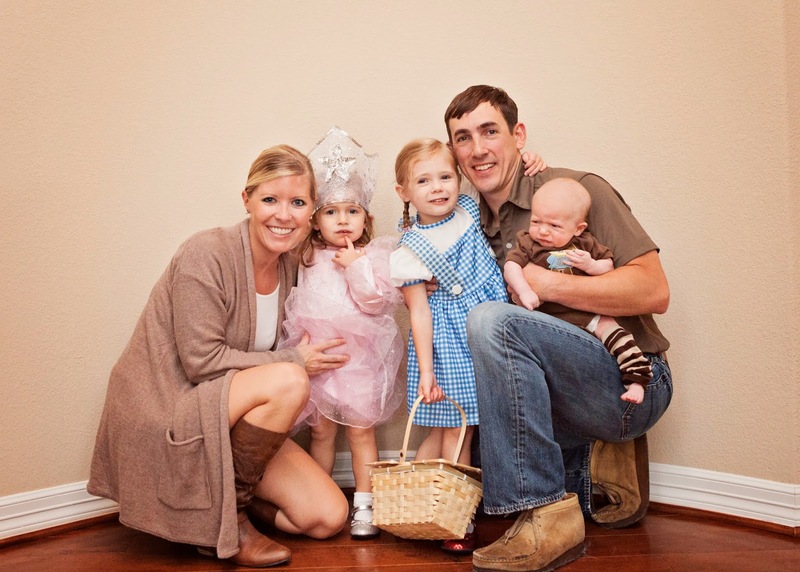 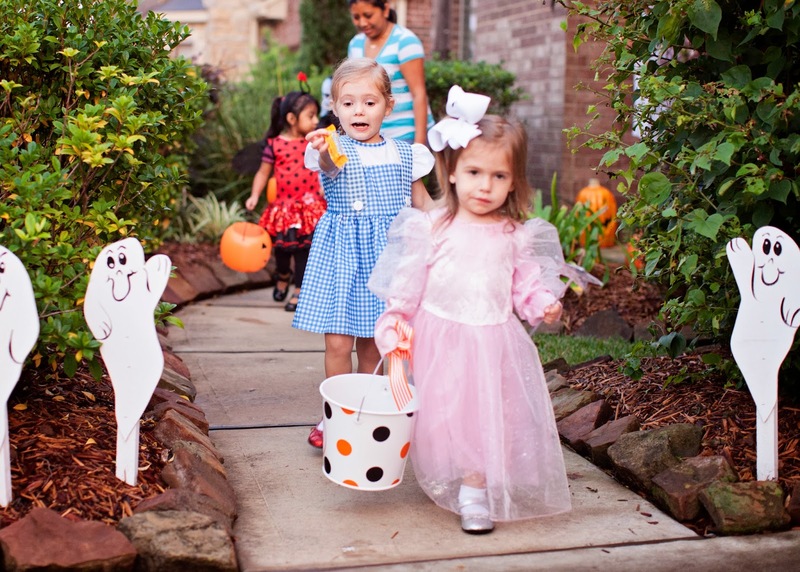 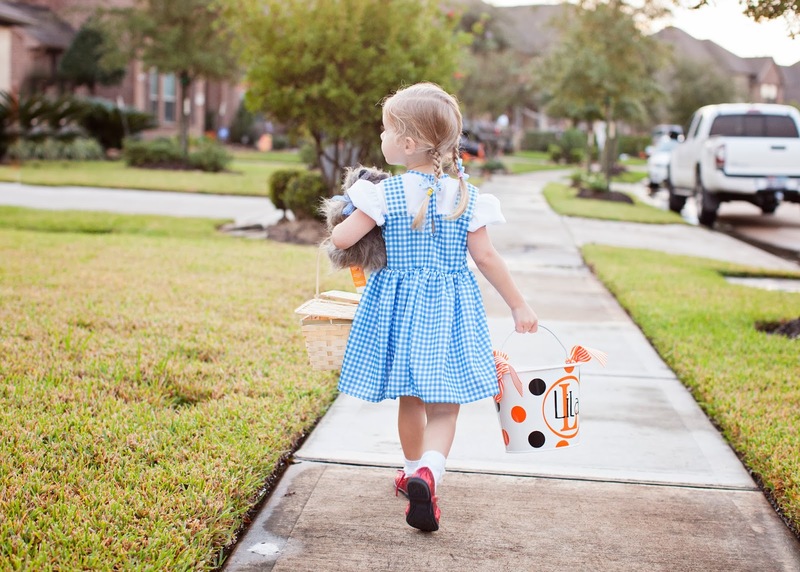 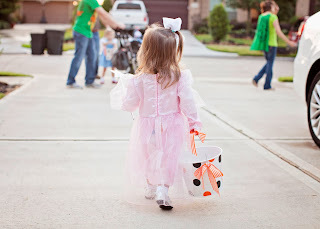 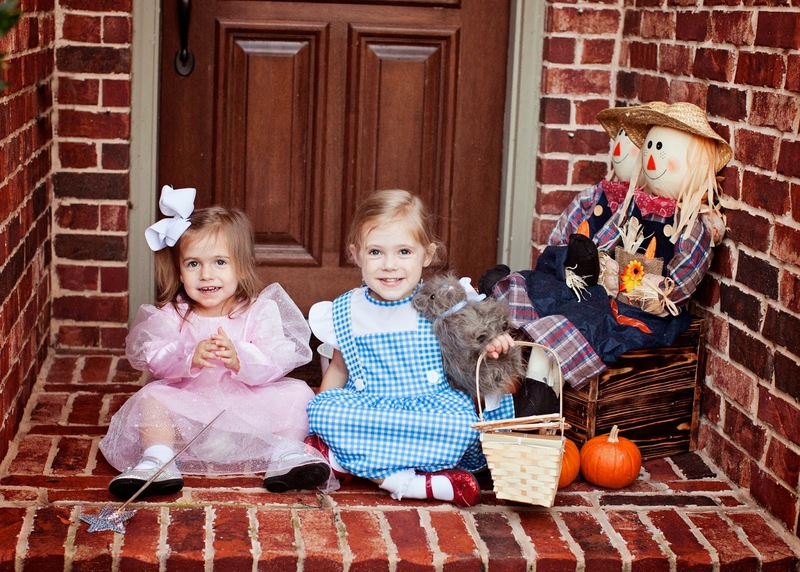 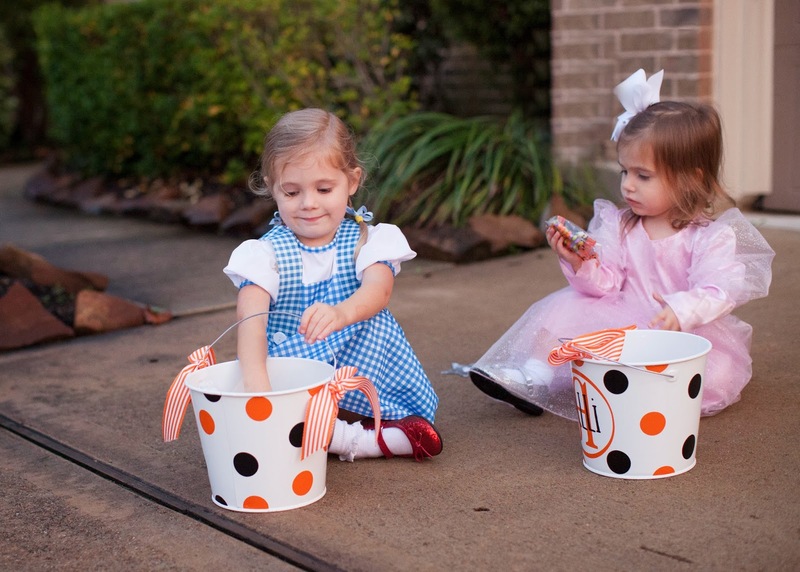 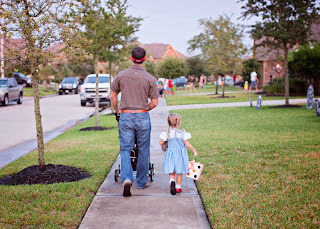 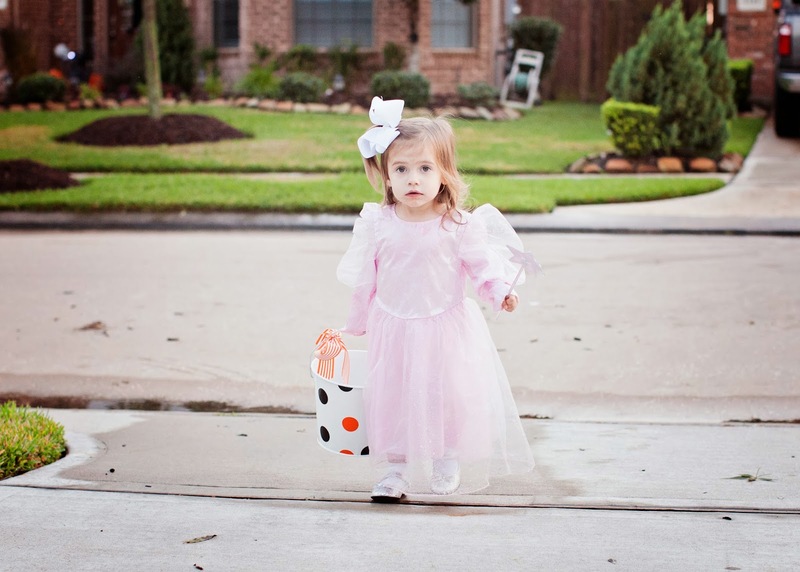 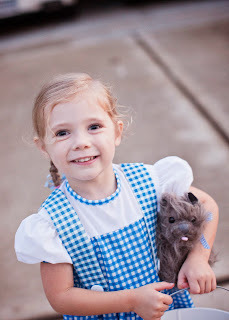 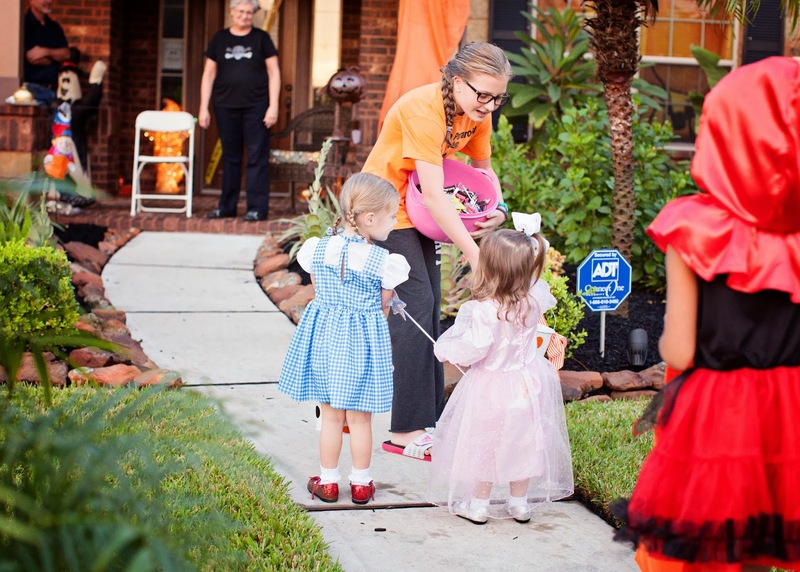 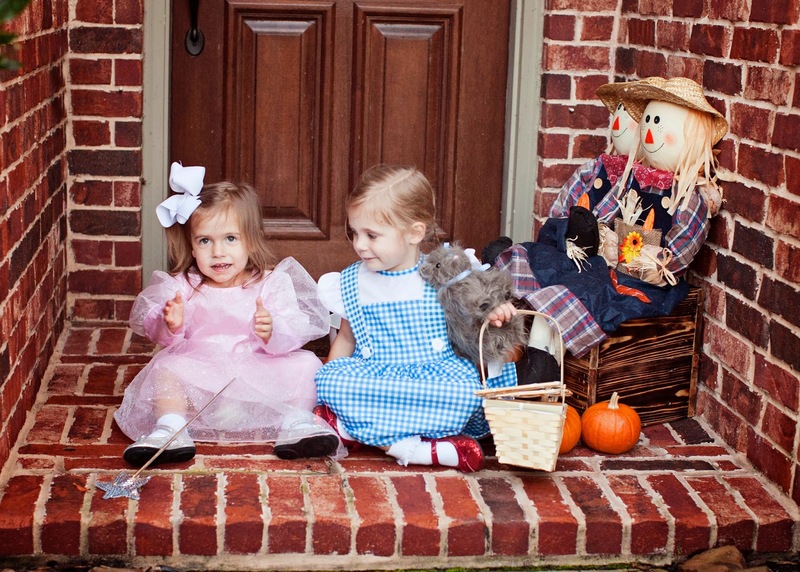 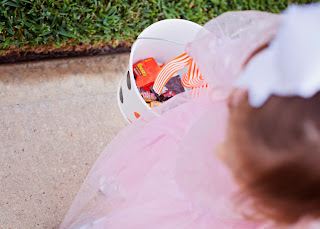 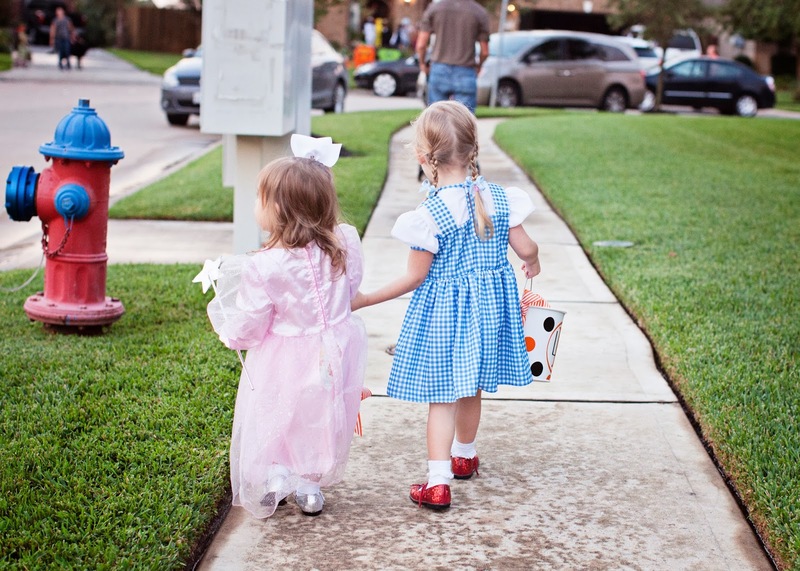 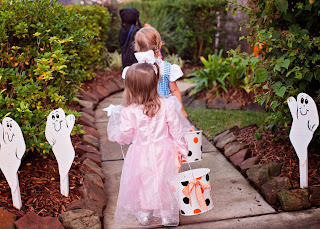 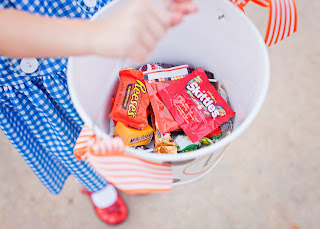 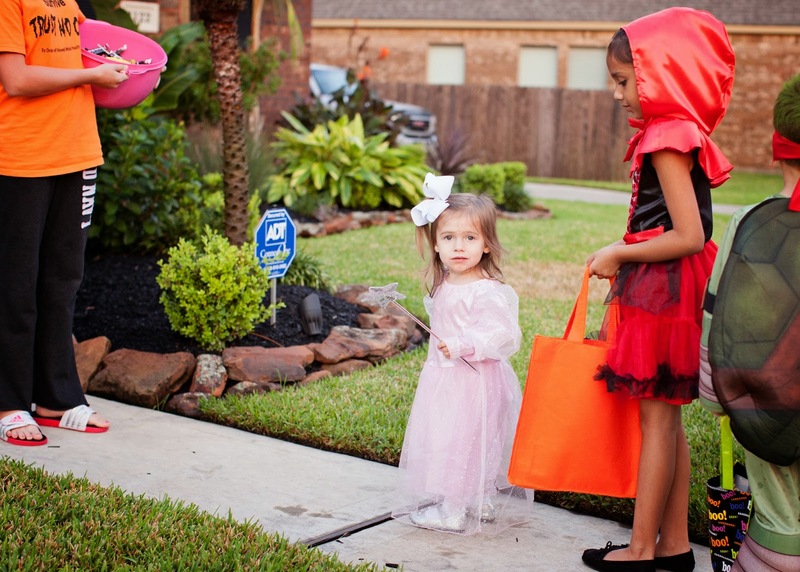 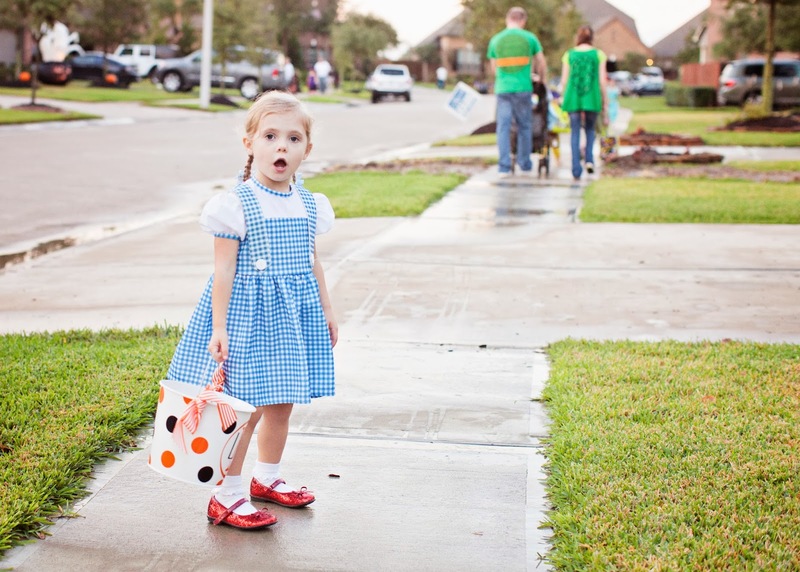 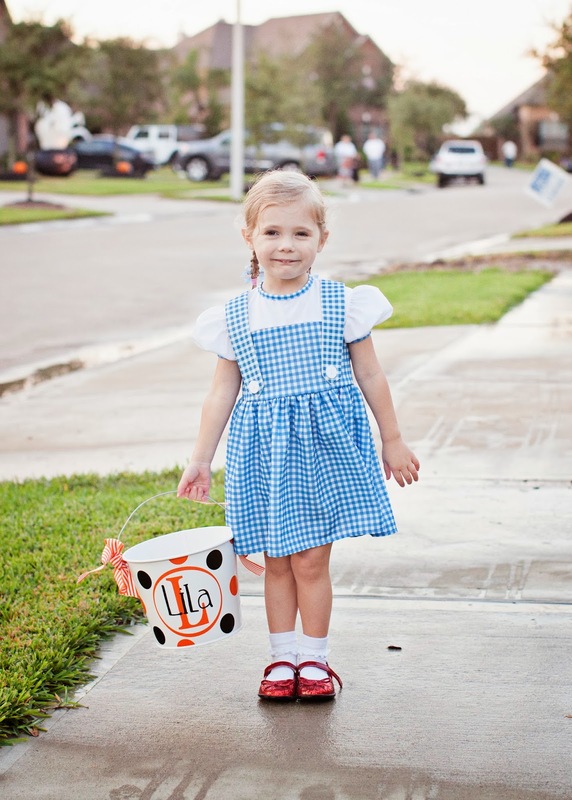 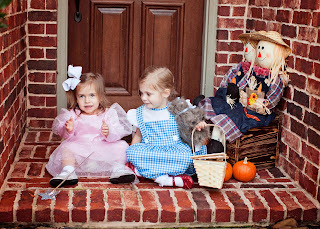 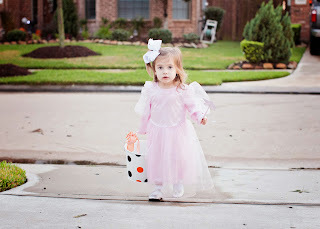 We were SO very thankful to be able to go trick-or-treating after a day of record rain and flooding. 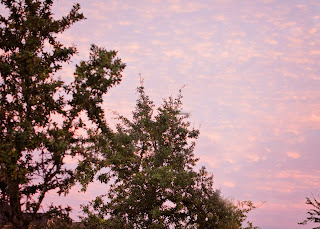 The rain stopped around 4pm and blue skies poked through. 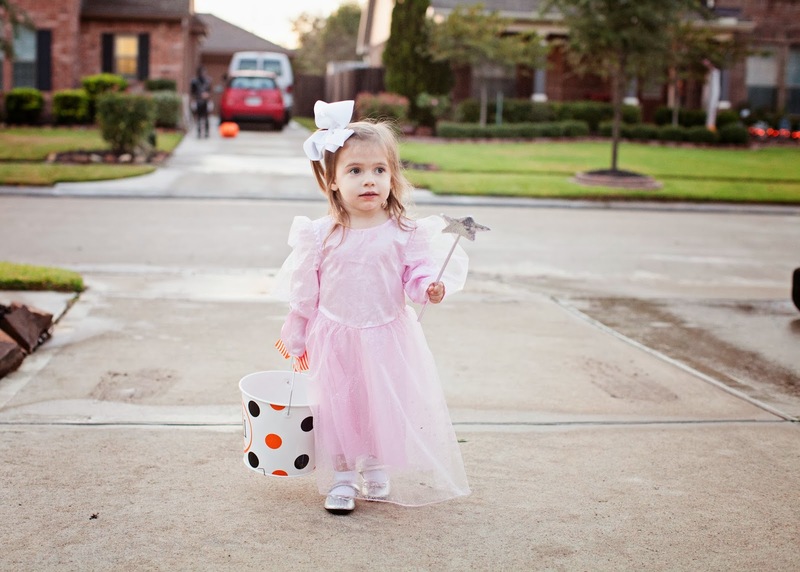 The sky turned a bright pink as the sun was going down, and besides the mosquitoes, it was a perfect night for trick-or-treating. 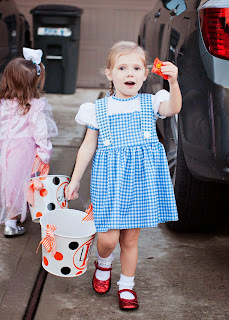 Lila was such a pro this year, and ran from house to house. Alli took her time, and she was a little scared of some of the people's big decorations; but she got the hang of it and was going everywhere by herself by the end of the night. 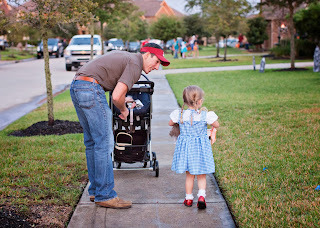 Grant hung in there until the very end when he got hungry, so Lila and I walked him home while Josh and Alli finished up their route. 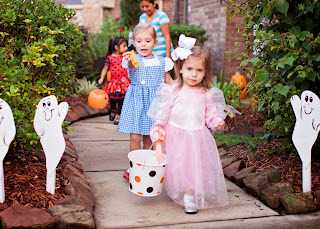 The girls were so happy when they got home that they laughed and giggled together in their rooms for over an hour past bedtime. 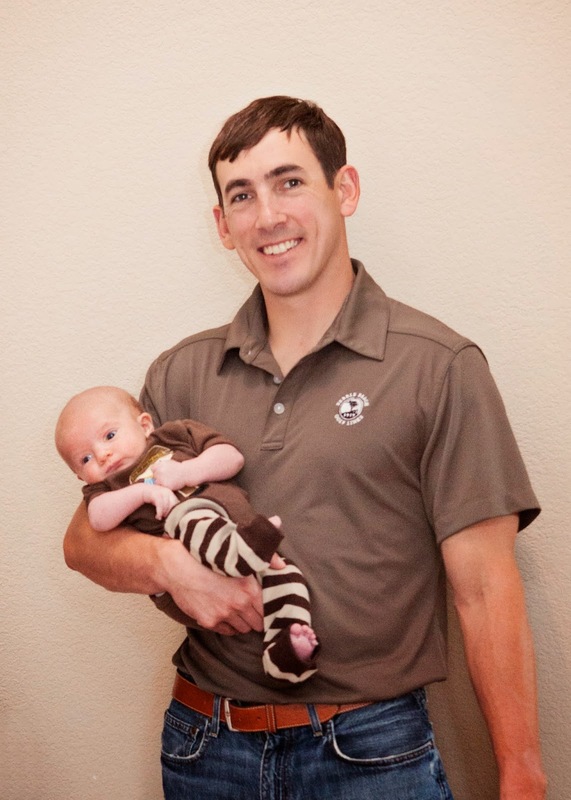 It was definitely one of our best Halloween's yet!